Mr. Siddiqi is one of the Founders and Managing Partner Emeritus of Denham Capital. He has over 39 years of experience in the energy and asset management fields. He is a member of the Denham International Power Fund Investment Committee and serves on the Board of Directors of Endeavor Energy, a Denham portfolio companies. 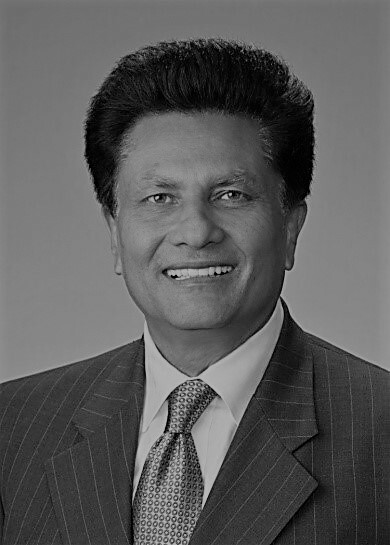 Mr. Siddiqi served as President and CEO of Thermal North America and other Denham portfolio companies Mr. Siddiqi is Chairman of Epochal Technologies, a Big Data Analytics firm. He also serves on the Board of Metox, a company focused on making the promise of room temperature superconductivity a reality. Prior to joining Denham in 2004, he was President and CEO of Capstone Global Energy, and before that he held executive positions at Cinergy Capital and Trading and other Cinergy companies. Previously, he served as Manager, Market Management Research, for the Electric Power Research Institute, and in various professional capacities with Georgia Power Company, San Diego Gas & Electric and Southern Company, after spending some time as a project engineer in Pakistan. He was heavily involved in electricity market deregulation and preparing electric companies to successfully participate in deregulated electricity and energy markets both in the US and Europe. Mr. Siddiqi is Chairman of the Board of the American Pakistan Foundation and is also a member of the Board of the Convergence Center for Policy Resolution. He is a member of BENS, Business Executives for National Security, an organization of private sector leaders that offer their expertise probono to the U.S Government on National Security matters. Mr. Siddiqi is also a volunteer pilot for Grace Flight of America, Pilots for Patients and Veterans Airlift Command and is a recipient of the Asia Society Houston Center’s award for leadership in business and philanthropy. Mr. Siddiqi received a Bachelor of Science from Pakistan University of Energy & Technology and a Master of Business Administration degree from the Graduate School of Business at Mississippi State University.